The manufacturing sector’s established and early adopters of the Industry 4.0 technologies will come together on 26-28 February 2019 at the third annual Industrial Internet 4.0 Summit in Sydney to share lessons around advanced manufacturing. These manufacturers – coming from Australia, New Zealand and Asia – will shed a spotlight on the adoption of Industry 4.0 technologies to build the “smarts” into production, while delivering goods and services in real-time directly to consumers. Over the first two days of the summit, more than 35 speakers will assess the potential of the Industrial Internet of Things (IIoT) to streamline operational costs and compete in a connected, fast-paced and tech-savvy global economy. The third day of the summit is dedicated to a post-conference workshop tailored for industrial analytics professionals, ICT managers or business executives seeking to gain deeper insights into the use of analytics in advanced manufacturing. The discussion topics will include integration between operations and technology, as well as an assessment of connected networks, mobility and human-machine interaction. Industry leaders will quantify the return on investment (ROI) in connected sensors, devices, robotics, big data and analytics, artificial Intelligence, embedded electronics and cloud computing. Multiple perspectives take the narrative into “deep dive” discussions incorporating innovative manufacturers, think tanks, government departments and higher education that are investing in Industry 4.0 hubs and moving trials into broader adoption. Technology solutions are showcased at a dedicated industry expo. TradieBot Industries, and ESM. An established roll-call of award- winning manufacturers will share experiences around the next step to Industry 4.0 adoption. These manufacturers include Leighton O’ Brien, Keech Australia, GPC Electronics, Dematec, Sutton Tools and Dulux. The summit offers timely, candid and thought-provoking insights into Industry 4.0 adoption – with a closer scrutiny of the tripartite government-industry-higher education support of Industry 4.0 platforms. The broader goal is to build Australia’s manufacturing base, while enabling small-to- medium enterprises to compete with brand names across global markets. The attendees in the program can expect to gain a deeper understanding of the technologies being used to build “intelligent” or “smart” factories. These factories improve production processes through automation and advanced manufacturing. Industry players examine the benefits, challenges and costs of embracing Industry 4.0 technologies. These discussions, held in a peer- to-peer discussion environment, clarify why emerging technology solutions extend beyond the physical production of goods. The Industry 4.0 platforms support broader functions incorporating planning, supply chain logistics and last-mile delivery. Strategies to integrate operational and IT platforms to build the “smarts” into advanced manufacturing can be expected as some key lessons from the program. 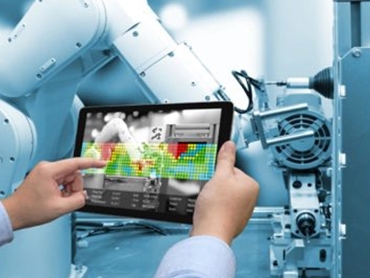 Business owners share their first-hand experiences on how to leverage IoT, sensors, connected devices, intelligent networks, advanced analytics, robotics, and automation to grow connected factories. to work collaboratively and boost sensing capabilities. The potential of convergence of technologies, incorporating internet, telecommunications and new media, are examined to deliver products and services from the factory floor directly to the home. and analytics. This investment improves operational efficiencies, business processes and forecasting capabilities. The challenge lies in managing the vast volumes and complexity of data and using sophisticated analytical tools to unearth business insights. Harnessing this data enables manufacturers to track patterns, insights and opportunities hidden within ever-growing data stores. 2. Artificial intelligence (AI) – Factories of the future are embracing artificial intelligence to replicate – and sometimes supersede – human intelligence. Apart from managing human chores, the more advanced AI moves into the realm of cognitive computing. This incorporates programming hardware or software to mimic the human brain, with better reflex response and intuitive- thinking capabilities. On the factory floor, cognitive tools incorporate machine and deep learning, advanced cognitive analytics, robotics’ process automation and bots. Here, algorithmic capabilities augment staff performance, automate increasingly complex or cumbersome workloads, and offer cognitive or intelligent agents to interact with workers. These agents simulate human thinking and engagement, with machine intelligence representing a brave new frontier. 3. Augmented Reality – Industry 4.0 bridges the divide between the digital, cyber, virtual and physical worlds. Virtual or augmented reality is being used across different sectors and contexts. Virtual or augmented reality offers benefits, for example, in the earlier stages of production, with a focus on optimisation or enhanced productivity. Simulation models and augmented reality now speed up the entire production chain, with built-in visualisation capabilities. Augmented reality comes into play during the machining or production cycles, factory planning, assembly, security, testing or digital prototyping. 4. Manufacturing + digital supply chain – To fully realise the vision of Industry 4.0, the enterprise processes are becoming digitised. This incorporates an evolution of traditional supply chains toward a connected, smart, and highly efficient domestic and global ecosystem. This integration incorporates the supply chain – from marketing through to product development, production, distribution, and finally, delivering products to customers. Digitisation breaks down the silos into a fully-integrated ecosystem. This ecosystem is transparent to all players – from the suppliers of raw materials, components, and parts, to the transporters of supplies and finished goods, and finally to the customers seeking fulfilment. and execution systems, visibility around autonomous logistics, smart procurement and warehousing, as well as the management of spare parts. Digitisation enables companies to react to disruptions across the supply chain, map out “what-if” scenarios, and adjust the supply chain in real-time as fluid market conditions evolve and change. 5. Security of things – Manufacturers are adapting to a new era of security threats. The focus is to secure the connected factory, while planning proactively against cyber-threats. Cyber-threats are more pervasive as the IIoT, big data, cloud, virtualisation, and mobile apps gain traction. Security is no longer an after-thought. The focus is shifting from securing network perimeters to safeguarding diverse systems, networks, devices, and the cloud. In a connected environment, the end points remain vulnerable as high-volume data is relayed across the network. The internet of things embraces everything –from industrial equipment to consumer devices. Attacks are growing, not just in volume, but the levels of sophistication. Next-generation devices are deployed across potentially vulnerable environments, including manufacturing plants, or the supply chain. Among the concerns, interconnected devices are hacked, turned into ‘botnets,’ or used to attack targeted computers and organisations. Vulnerabilities in the supply chain may spawn a “wildfire effect,” leading to millions of dollars in losses, impact on branding, or loss of consumer trust. Systems are being opened in more ways than before. There is direct connectivity between suppliers, partners, customers, and consumers. This vulnerability shifts the focus on “security by default.” Here, security controls are set at the highest levels of protection. This embraces built-in security, rather than asking users to opt in. Savvy manufacturers are building security into applications, and interconnected devices – at the outset – to fully secure the digitised and connected enterprise. This built-in security enables companies to more securely manage data and business functions between networks, the cloud, as well as on- premises legacy systems. As manufacturers embrace digital transformation, cyber security will remain a top priority. This involves maintaining the confidentiality, integrity, and availability of data across all platforms: on premises, the cloud, or within hybrid environments.